The latest craze, the hottest kid sport sensation, an international event: Beyblades, the spinning, fighting tops where the objective is to knock out your opponent's blade. 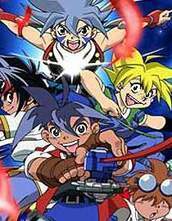 The story of Beyblade is the story of the aggressive Tyson, the quick-thinking Max, balanced Ray, and experienced Kai. 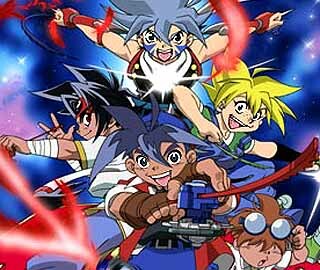 Four boys whose paths came together and eventually saw them form a team called the Bladebreakers. Along their path towards new challenges and achievements, this team of bladers are gonna find out that there's a lot more to Beyblading than they originally thought.